One of the most popular locations in Disney World, the Yacht and Beach Club‘s Beaches & Cream Soda Shop will be closing this August for refurbishment. Once it’s refurbished, the location is expected to reopen in December. 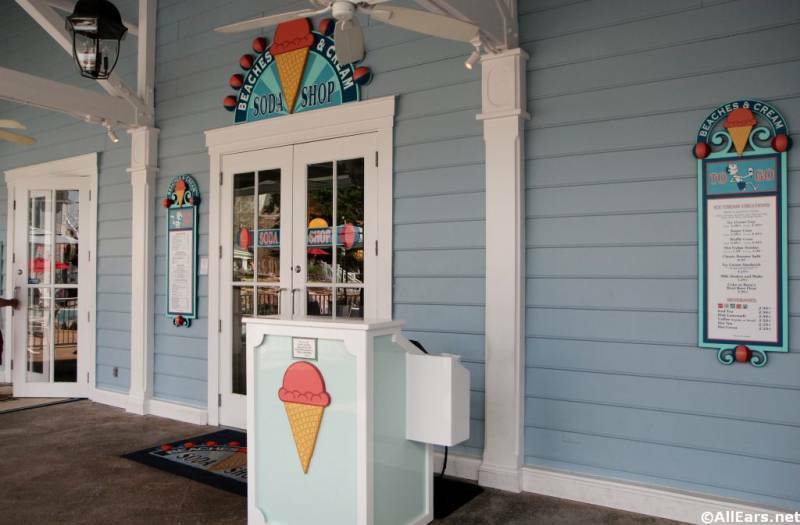 A temporary ice cream spot will be set up in either the Beach Club or Yacht Club resort, but we don’t know if some of the Soda Shop’s popular sundaes will be available at the temporary location. Have you and your family tried to conquer the Kitchen Sink Sundae? 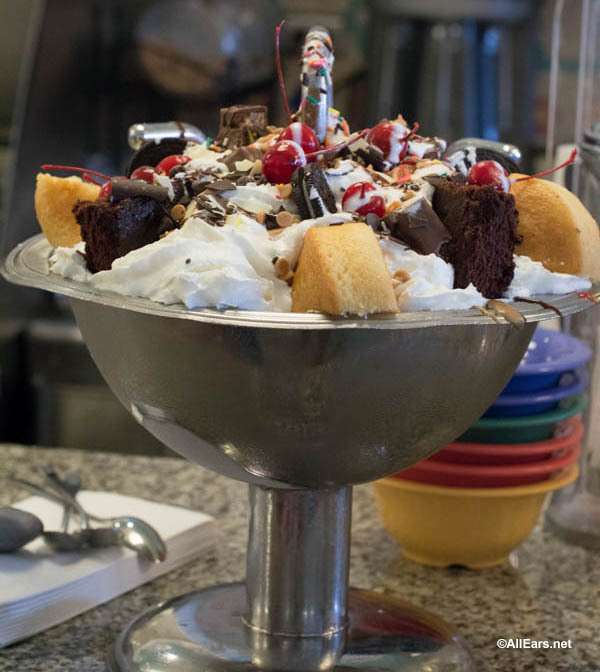 Maybe you’ve tried the more manageable No Way Jose Sundae instead? Will you be staying at the Beach Club or Yacht Club during the refurbishment of Beaches & Cream from August to December? Let us know if you’ll miss this location while it’s closed in the comments below! We are staying at Beach Club Villas in November. The funny thing is that we brought our friends the last 2 times and had to cancel our plans to eat there both times. We are bringing our friends again in November & promised we would eat there this time. I certainly hope they expand somehow, that place is way too small. Oh no! We’ll be at the Beach Club in October!!! We will be staying at Beach Club in November…that’s one of our favorite places!! Noooo!! I hope this means the shop will increase in size…? We can never get a table there unless we want to wait 3-hours! I can’t imagine a 4-month refurbishment for anything other than an increase in the size of the dining area. Let’s hope…..
We are very disappointed at this closure. Our granddaughter and her grandfather had special plans in October for every night going there to have their sundaes. Hopefully they will open at a new location with their special sundaes. We do understand the refurbishment to keep Disney magical. We are staying at Beach Club in August and hope that the temporary location will still have their famous sundaes! Sadly we were looking forward to visiting Beaches and Cream when we booked our stay at the Beach Club for this coming September. I just hope the construction doesn’t interfere with the enjoyment of Storm-along-bay.